The vehicle has a V6, 3.5L high output engine. This model has an automatic transmission. When you encounter slick or muddy roads, you can engage the four wheel drive on this Nissan Murano and drive with confidence. 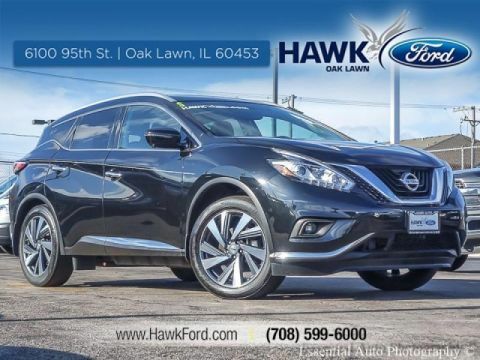 Enjoy the tried and true gasoline engine in this Nissan Murano. 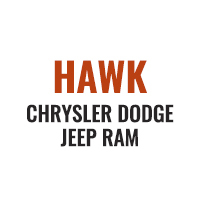 This mid-size suv is protected with a UV resistant earth toned brown color. Anti-lock brakes will help you stop in an emergency. Icebox AC keeps the vehicle cool all summer long. Bring all your music with you along for the ride in the vehicle with its mp3 player aux input jack. Protect this unit from unwanted accidents with a cutting edge backup camera system. Engulf yourself with the crystal clear sound of a BOSE sound system in this vehicle. Once you've sat in this Nissan Murano with cooled seats on a hot summer day, you'll never know how you lived without it. Easily set your speed in this mid-size suv with a state of the art cruise control system. Increase or decrease velocity with the touch of a button. The Electronic Stability Control will keep you on your intended path. Know you and your passengers are protected with the front and rear side curtain airbags in this unit. The fog lights cut through the weather so you can see what's ahead. The Murano has front air bags that will protect you and your passenger in the event of an accident. This mid-size suv is equipped with front side curtain airbags. Bluetooth technology is built into this unit, keeping your hands on the steering wheel and your focus on the road. Heated seats for those cold winter days are included in this model. It is pure luxury with a heated steering wheel. Control your garage door with its built in HomeLink System. Quickly unlock the Murano with keyless entry. 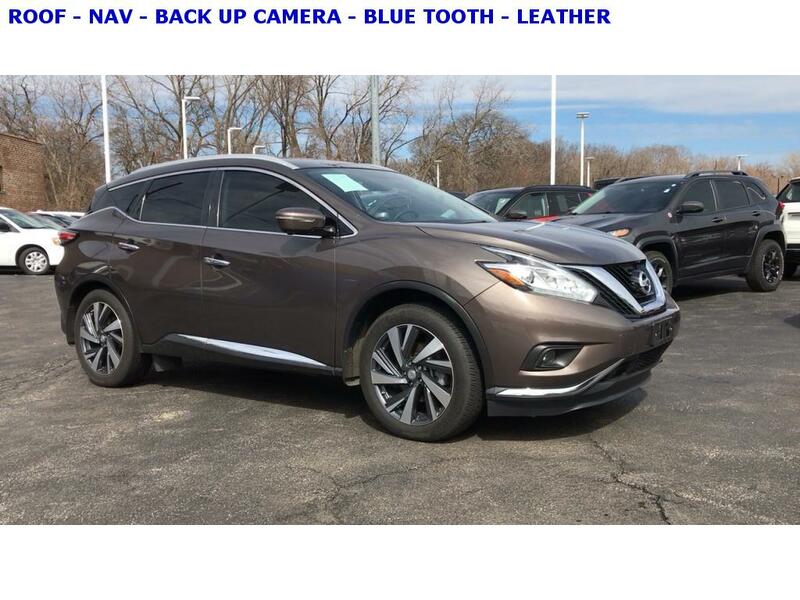 The leather seats in this Nissan Murano are a must for buyers looking for comfort, durability, and style. The installed navigation system will keep you on the right path. Load groceries and much more with ease into the Murano thanks to the power liftgate. This Nissan Murano comes with power adjustable seat to get your seat just right for you. Power seats are a must! This unit has convenient power windows. It has a premium sound system installed. The premium wheels make the Murano stand out from the crowd. This unit looks aggressive with a streamlined rear spoiler. Make room for more passengers, carry extra luggage or your favorite sports gear with the roof rack on this vehicle. It has satellite radio capabilities. The vehicle features a tilt steering wheel. The traction control system on the Murano instantly senses tire slippage and executes minute power adjustments to maintain traction at all speeds. This mid-size suv has a trip computer for clocking your road adventures. with XM/Sirus Satellite Radio you are no longer restricted by poor quality local radio stations while driving this model. Anywhere on the planet, you will have hundreds of digital stations to choose from. Gross vehicle weight: 5;280 lbs.